Who are our enemies? Internal meddlers, external hackers or both? My point is that too much security could alienate your work force, especially if the reasons for your measures are not properly explained. So integrate your security with your company culture and give horror stories to explain why account security is necessary. How do you stop these intruders? Where do you apply the security? The fear is that non authorized people will misuse your network resources. What are these people like? Malicious, opportunitistic or just curious. What might they do? Steal data, read information or just alter settings. How do they gain access? Guess passwords, sit down at unattended machines or just read post-it notes with passwords. Physical security, example lock the server room. Make your goal is to allow the good guys to work unhindered whilst keeping out the bad guys. Involve someone who knows the users and understands how they work and what they think. Commit to developing and evolving your account security policy. It may be too draconian so slacken off, it may be breached so you need to tighten up in the light of experience. Make everyone administrators. – No! 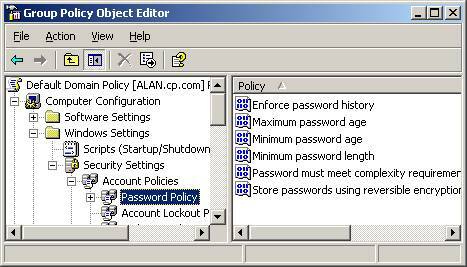 Through Group Policy, at the Domain level (not the OU or Site level). The picture opposite shows what Windows Server 2003 offers. If you choose: Password must meet complexity requirements, it means, upper case, lower case, number non-alphanumeric (@ #). Make users change their passwords every x days, and remember the last y passwords. Note use minimum password age or else they will just cycle through y passwords in their tea break, and come back to the original password! What other settings can you apply through Group Policy? Check out the Account Lockout, this is where you can stop malicious people endlessly guessing someone else’s password. The downside with setting the values too low is that people may forget their own password and lock themselves out, thereby causing resentment and extra work for the help desk. User authentication is a fundamental property of all computer systems. 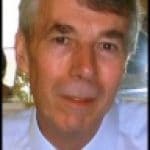 Passwords have always been the Achilles’ heel of computer security. Smart cards in some shape or form, have been ‘around the corner’ for about ten years. 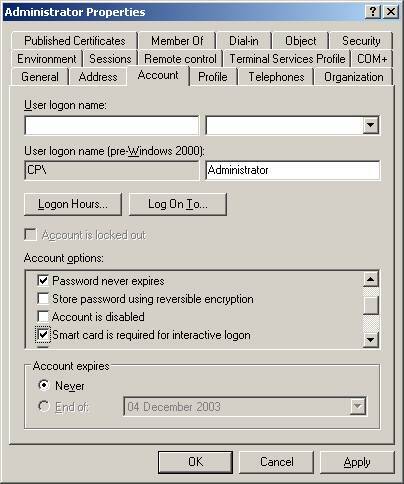 I predict that within 5 years password logons will be obsolete. What will replace them? Smart cards, finger print logon, retina scanning some other technology. In fact if there were one clear market leader then the solution may be more obvious. My advice is to consider what $25 will get you in the way of smart card keyboard attachments. The costs of doing away with passwords will pay back handsomely when you consider support calls and user frustration. Let us not forget the overall goal, a secure and friendly system. 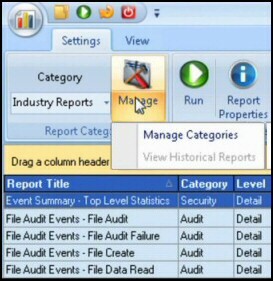 Once you have the hardware, the software is easy, just check out the User Properties, Account tab. Understanding the technology will help you secure your system. Guy’s rule of thumb is that the more security you have the more difficult it is to understand and the more work there is configuring it. Nevertheless you must secure your system and to do that you have to understand the components and procedures involved in Windows Server 2003.